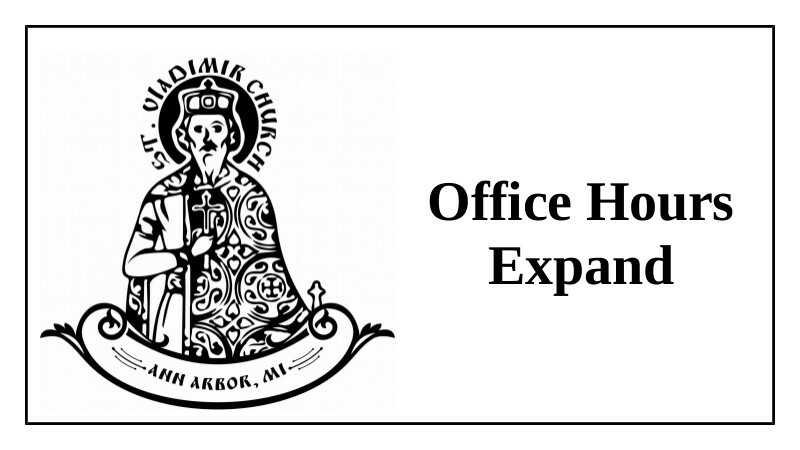 St. Vladimir Orthodox Church, Ann Arbor, MI - Communing the Sick, Blessing Homes, Spiritual Support - Please Reach Out! 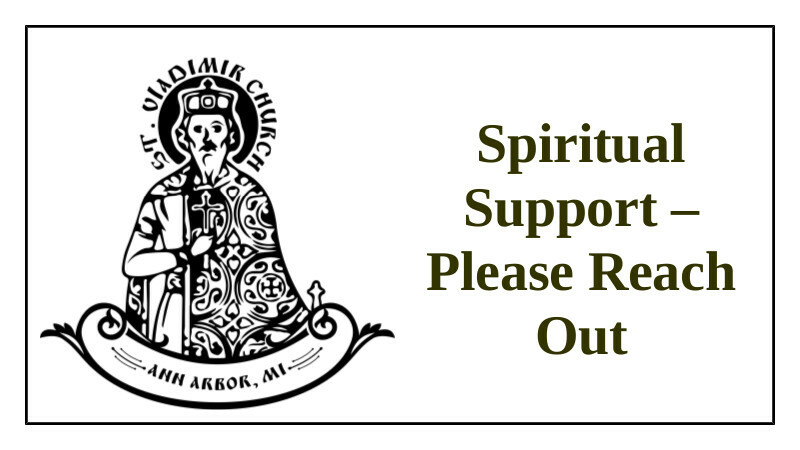 Communing the Sick, Blessing Homes, Spiritual Support - Please Reach Out! Fr. Gregory is available to bring Holy Communion to the sick, bless homes and apartments (or dorm rooms), or to provide spiritual support to any and all of our parish family whenever there is a need. 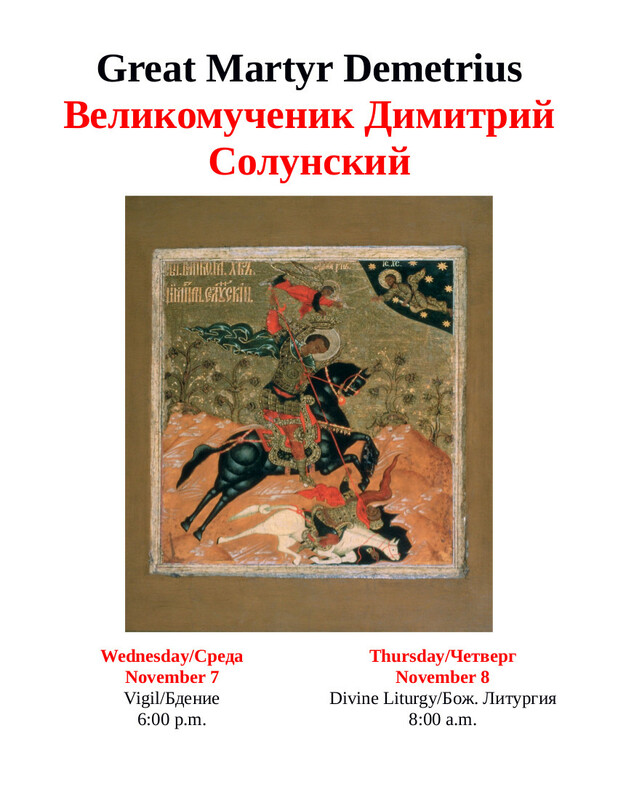 Please do not hesitate to contact him! Too often those in need suffer in silence because they do not want to “bother” the priest. Fr. Gregory is here to serve our parish family – just as Christ came to minister so too is this the calling of the parish priest. You can reach Fr. 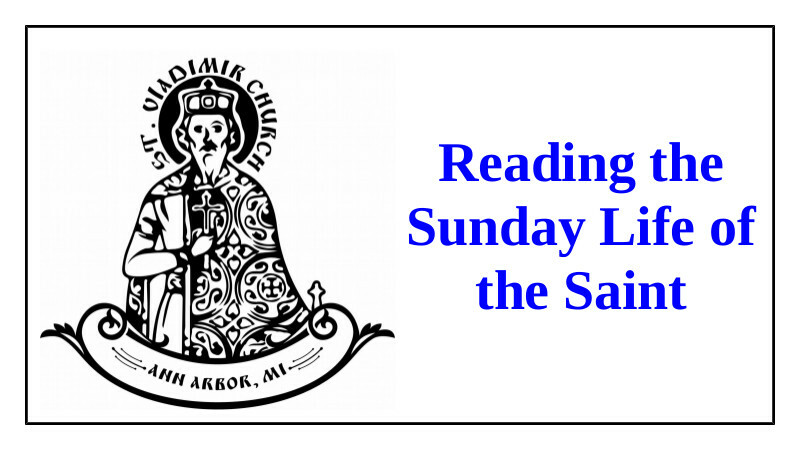 Gregory by phone or SMS at 734-649-5746 or via email at ogrisha@stvladimiraami.org. Rest assured – he looks forward to hearing from you any time – whether you have a specific need or even if you just need to talk – please contact him! 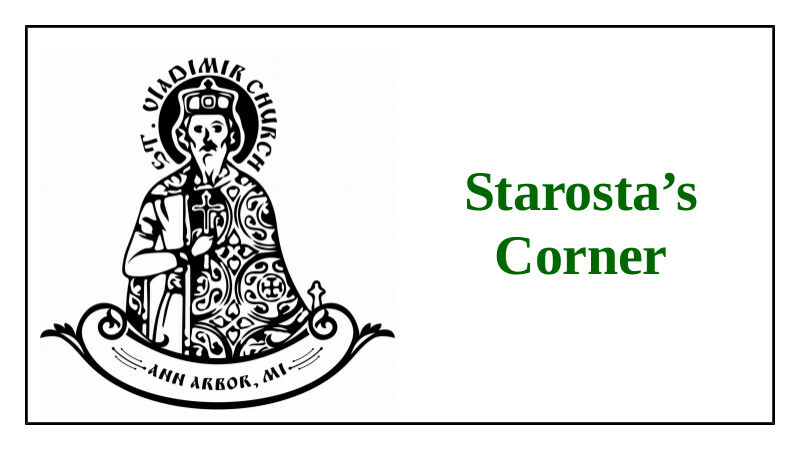 The latest Starosta's Corner can be found at the link below. Young people who can read clearly and loudly are welcome and urged to participate! 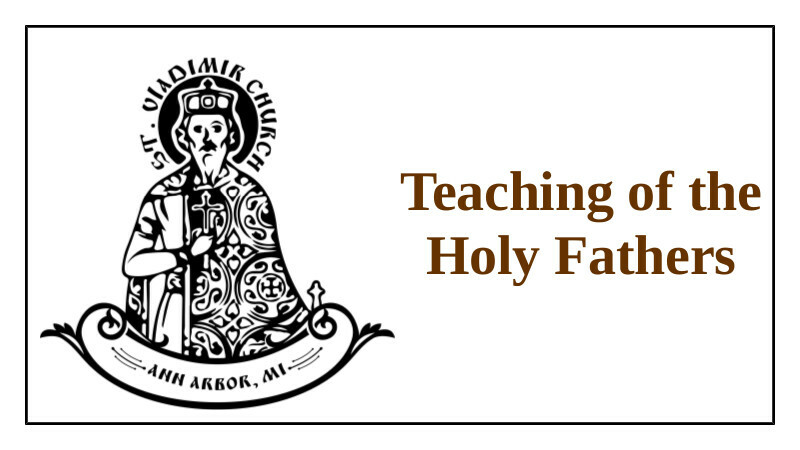 THIS IS A GREAT OPPORTUNITY FOR YOUNG PEOPLE TO BE ENGAGED IN PARISH LIFE! 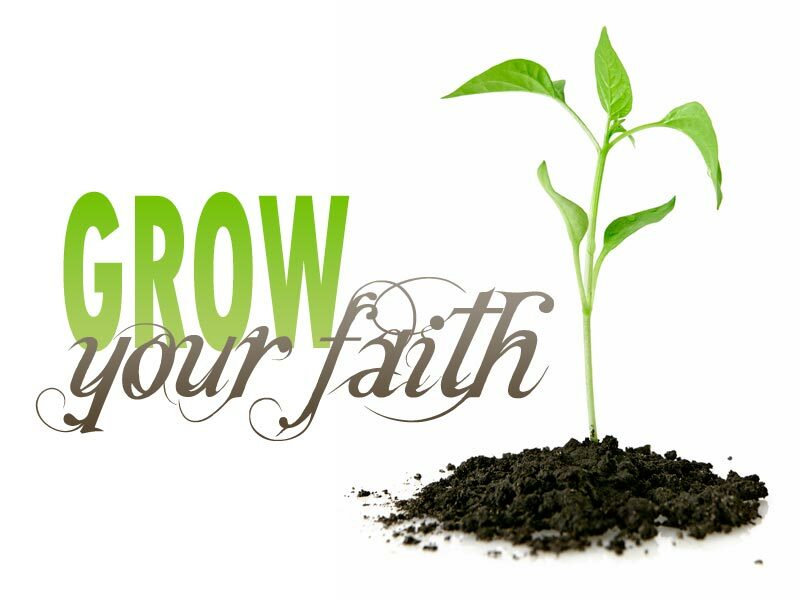 Research shows that it is very important for young people to be engaged now so they persist in the Church into adulthood. The sign up sheet can be found at the link below. PARENTS: please contact Karl Meyer or Alexandra Pyrozhenko with questions!